Earrings in the style seen on ST:DS9 smart-propped to M4 ears. Awesome work, Thank you so much for sharing. Joy! 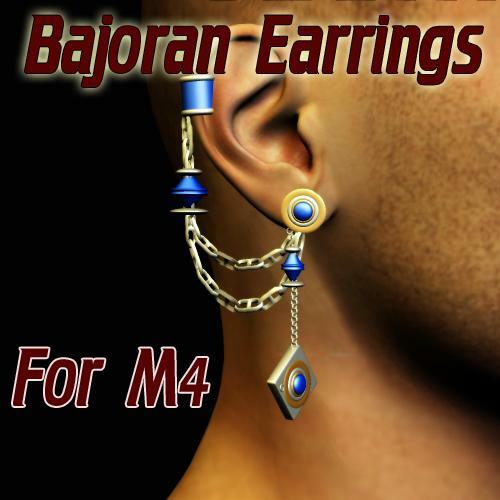 One of my most favorite aspects of DS9 were the Bajoran Earrings - thank you, they're beautiful! Someday this will be exactly the thing I need. Thanks!